Samarkand | Can I Bring the Dog? This picture is taken looking out of our room in Samarkand. The exterior of the building is blank walls, inside is a small paradise garden. 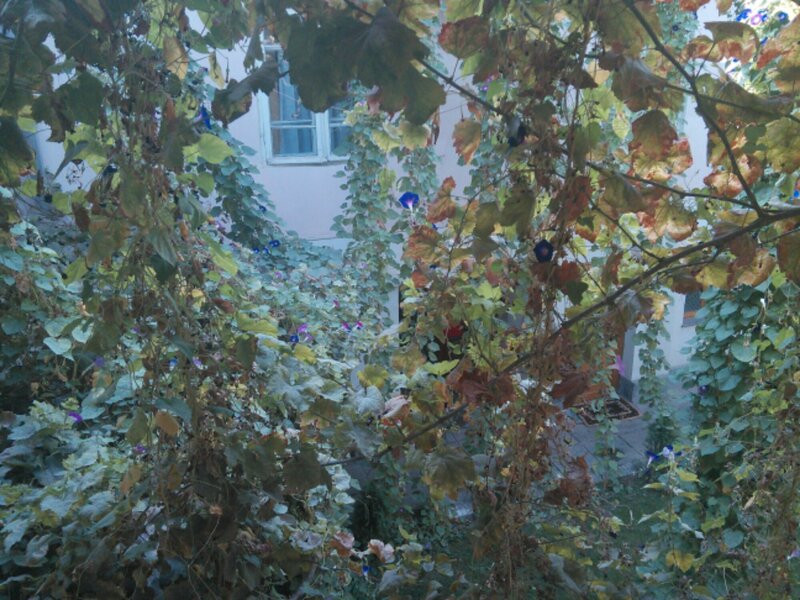 Morning Glories grow up grape vines, shading the walkways and balconies of the inner courtyard. I have heard from Julie that Chico is doing well, fitting in with her pack of four, plus another visiting dog. Love the one brilliant blue flower in the middle of the picture.